To communicate the risk, shippers must warn drivers and others about materials hazards. The regulations require shippers to put hazard warning labels on packages, provide proper shipping papers, emergency response information and placards. These steps communicate the hazard to the shipper , the carrier and the driver. Properly placard your vehicle in accordance with the rules. Learn the rules and follow them. Following the rules reduces the risk of injury from hazardous materials. Taking shortcuts by breaking rules is unsafe and against the law. Inspect your vehicle before and during each trip. Law enforcement officers may stop and inspect your vehicle. When stopped, they may check your shipping papers, vehicle placards, the hazardous materials endorsement on your driverʼs license, and your knowledge of hazardous materials. Sends products from one place to another by truck, rail, vessel or airplane. Must package, mark and label the materials, prepare shipping papers, provide emergency response information and supply placards. Certify on the shipping paper that the shipment has been prepared according to the rules (unless you are pulling cargo tanks supplied by you or your employer). Takes the shipment from the shipper to its destination. Prior to transportation, checks that the shipper correctly described, marked, labeled and otherwise prepared the shipment for transportation. Reports accidents and incidents involving hazardous materials to the proper government agency. Makes sure the shipper has identified, marked and labeled the hazardous materials properly. Refuses leaking packages and shipments. Placards his vehicle when loading, if required. Safely transports the shipment without delay. 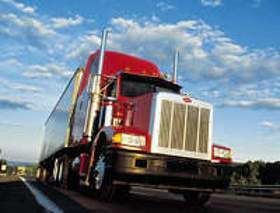 Follows all special rules about transporting hazardous materials. Keeps hazardous materials shipping papers and emergency response information in the proper place. Some words and phrases have special meanings when talking about hazardous materials. Some of these may differ from meanings you are used to. The words and phrases in this section may be on your exam. The meanings of other important words are in the glossary at the end of Section 9. A materialʼs hazard class reflects the risks associated with it. The hazard class of a hazardous material is indicated by its class (or division) number, its class name, or by the letters “ORM-D.” Figure 9-1 below lists class numbers, division numbers, class or division names and those sections of this subchapter that contain definitions for classifying hazardous materials, including forbidden materials. You may be asked what "containment rules" are on the written exam, so make sure you're familiar with the above paragraph. The written exam very frequently asks about the different roles and responsibilities of the shipper, the carrier, and the driver. Make sure you are very familiar with each and how they differ, as listed below. While you do not need to memorize the below table, you should familiarize yourself with it and understand how different classes of hazardous materials differ from each other. To obtain a Hazardous Materials Endorsement on a CDL, you must initially and at each renewal pass a security background check and a written exam about transporting hazardous materials. To communicate the risk, shippers must warn drivers and others about materials hazards. The regulations require shippers to put hazard warning labels on packages, provide proper shipping papers, emergency response information and placards. These steps communicate the hazard to the shipper, the carrier and the driver. Transporting hazardous materials can be risky. The regulations are intended to protect you, those around you, and the environment. They tell shippers how to package the materials safely and drivers how to load, transport and unload the materials. These are called "containment rules." Inspect your vehicle before and during each trip. Law enforcement officers may stop and inspect your vehicle. When stopped, they may check your shipping papers, vehicle placards, the hazardous materials endorsement on your driver's license, and your knowledge of hazardous materials. When transporting hazardous materials, the carrier is responsible for which of the following? Which of these is a shipper's responsibility for HAZMAT placarded loads? Which of the following is NOT the carrier's responsibility? 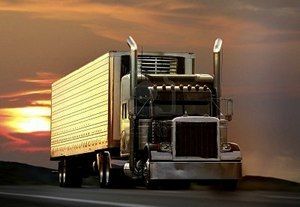 While it is the shippers responsibility to provide you with the correct paperwork (with the correct and required info) as well as the placards for your vehicle, it is up to you to make sure everything is correct. What is a Hazard Class? A material's hazard class reflects the risks associated with it. The hazard class of a hazardous material is indicated by its class (or division) number, its class name, or by the letters "ORM-D." Figure 9-1 below lists class numbers, division numbers, class or division names and those sections of this subchapter that contain definitions for classifying hazardous materials, including forbidden materials.